The last major event of the first day of Computex 2017 was the ASUS ROG Computex 2017 press conference. 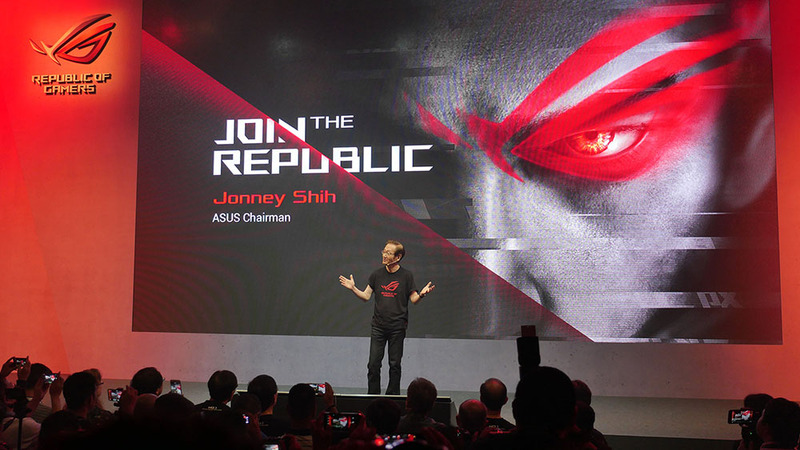 ASUS Chairman Jonney Shih, who earlier in the day joined Intel at their Computex 2017 keynote, led the presentation of the wide plethora of new 2017 ASUS ROG products. In this article, we will share with you the details of every new 2017 ASUS ROG product that was unveiled at the ASUS ROG Computex 2017 press conference! The delicate balance between portability and power is different for most people, and for every choice there’s likely a sacrifice you’d rather avoid. 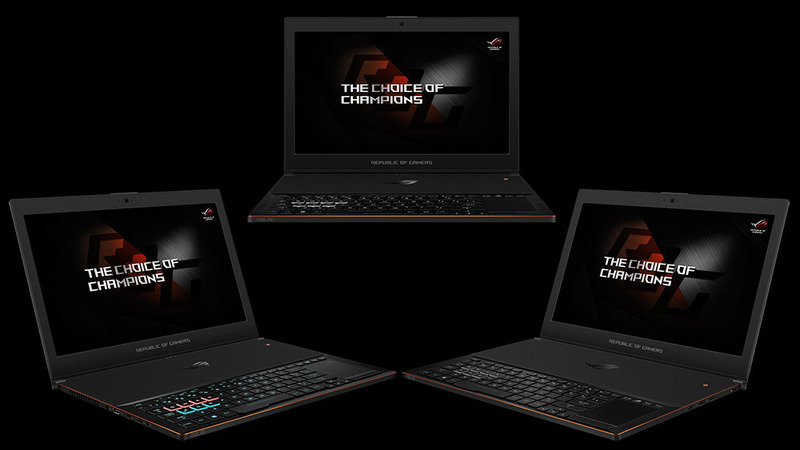 The ROG Zephyrus GX501 is the answer to your conundrum. If you crave gaming power, its 7th Generation Intel Core i7 CPU and NVIDIA GeForce GTX 1080 graphics will satisfy your hunger. There’s enough juice on tap to pump out better gaming performance than you’ve probably tasted on a gaming laptop. If you want all that power harnessed in an ultra-sleek 15″ laptop, the Zephyrus is only 17.9 mm thin and weighs in at 2.2kg. The real magic is in the Active Aerodynamic System, which allows the chassis to expand and maximize airflow when you open the lid. How cool is that? The Strix GL702ZC is the first gaming laptop to feature an eight-core processor, specifically AMD’s new Ryzen 1700 CPU. Pair that with Radeon RX 580 graphics, and you have VR-ready performance to go. You won’t find another 17-incher with this much multi-tasking power for the price. And you have a nice choice of FreeSync display options, including 4K at 60Hz and 1080p at 120Hz. If your motto is go big or go home, you know you can’t go wrong with a GeForce GTX 1080 in a 17″ laptop. The Strix GL702VI was created to allow more people to live that dream. Configure yours with an Intel Core i7 or i5 processor and up to 32GB of memory. You can also opt for a 120Hz display and PCIe 3.0 NVMe SSD. It’ll be well worth it! The new ROG Strix GL503 and GL703 series deliver the best combination of price, performance, and portability. And for the first time, versions have been tailored exclusively for different types of esports games. The Hero Edition is designed for MOBAs, while the SCAR Edition is tweaked for competitive FPS gaming. There’s also a traditional version without genre-specific touches. Previous : Get Rocket League with every GeForce GTX 1060 or 1050!